Home 43 Menopausal? No, we were pregnant! With her reproductive system winding down, [at 43 years old], Hazel Nicolson was looking forward to a long-awaited opportunity to relax. So it came as something of a surprise to discover that her three months of missed periods were not, in fact, due to the menopause, but an altogether unplanned pregnancy. 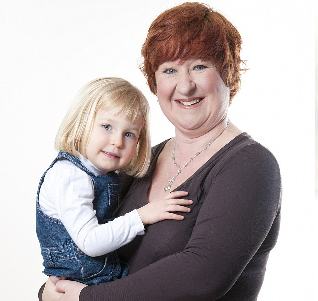 I was shocked and devastated, and broke down in tears when my doctor told me, says Hazel. Ultimately, she decided the risks and sacrifices were worth it, and her daughter, Libby, is now three. I've been amazed by how much I love late-life motherhood, Hazel says. But I have since had a contraceptive implant fitted — this is definitely my last child. Read more: Menopausal? No, we were pregnant! Originally posted in March 21, 2012.